The Carols By Candlelight Concert from The Locrian Ensemble at The Apex on 21 December is an ideal way to get into the spirit of Christmas. The Locrian Ensemble are firmly established as one of Britain’s most popular touring classical groups. These charismatic entertainers perform their Christmas show in lavish period costume and in an evocative setting. The show includes carols and familiar Xmas tunes. They are joined by Jill Washington, West End soprano of Phantom of the Opera, who will sing songs ranging from Handel’s ‘Messiah’ to ‘White Christmas, ‘The 12 Days of Christmas’ and ‘Walking in the Air’. Carols by Candlelight is at The Apex on Wednesday 21 December at 7.30pm. 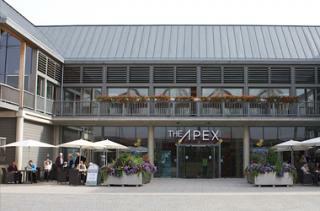 Tickets are £19.50, call the Box Office on 01284 758000, or visit www.theapex.co.uk for more information, or to book.